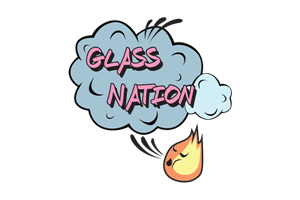 Glass Nation has the best dab rigs for sale online. Not all dab rigs are created equal. Therefore, we put considerable effort into curating quality and affordable borosilicate glass art rigs. All of our concentrate rigs are custom works of art created by professional artisans. We have hand-picked each of the wax rigs below to ensure we are bringing the highest quality functional art pieces to our customers. Glass Nation also has the best wax rigs online. Most wax rigs come with a dome and a nail included. However, many of the highest quality rigs come fitted with a quartz banger or other type of quartz nail. We carry some pretty cost effective options that are still manufactured by someone who gives a damn. Because we give a damn about the things we try and sell to our friends. Since you give a damn about the type of products that you buy and use!